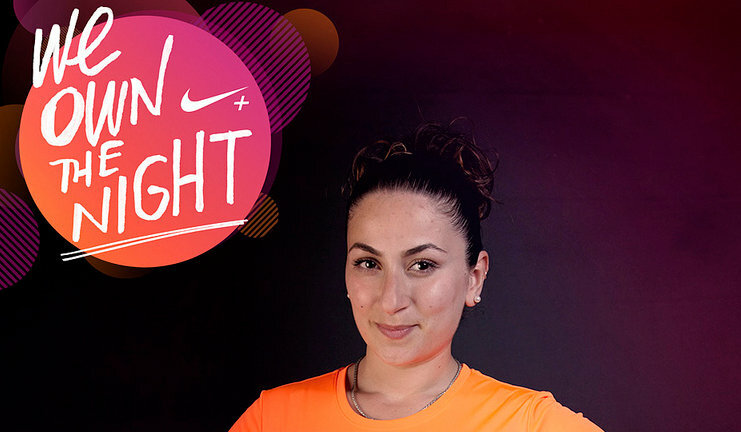 There is only a few days left until we join 3000+ ladies for the Nike and ELLE Magazine We Own The Night 10K run in London's Victoria Park. There are still a few places left for the race, so if you want a night of fun and fitness, make sure you sign up today. On the night, we will be running with a few of our Food and Lycra sisters who are taking part in their first ever race - supporting and having fun with them through their 10k journey! One of the sisters we will be running with is buffting Selda. Today she shares her running journey with us and how running with her AMAZING, WONDERFUL friends (ahem, us) has not only changed her lifestyle, but also pushed her to sign up for her first ever race...on her BIRTHDAY WEEKEND TOO! That's dedication yo, give this girl a bloody pat on the back! Not long ago, well 4 months exactly, the thought of me running was nothing but a joke. Seriously, you would have laughed! 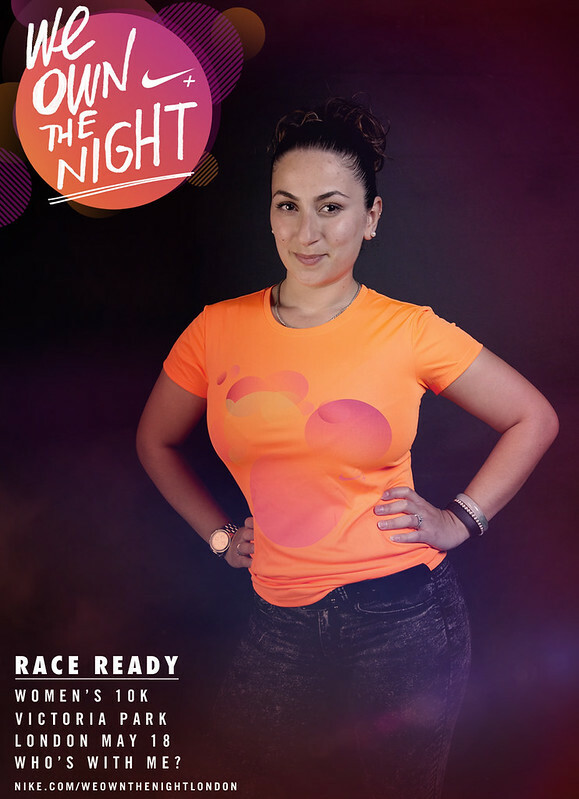 And now look at me sporting my We Own The Night race top. My Food & Lycra sisters encouraged me to sign up and somehow I ended up doing it. I have never really ran more than I've had to, a run for the bus or literally 'running late' to work is the only type of "run" I would ever do. Even as a child I avoided running in PE (Physical Education) at school. In 2012 I became depressed and gained the pounds no doubt. It was an endless cycle. It was clearly unbearable for my sisters to see as they had had enough of my excuses and dragged me out running. I remember my first run with my sister Kim, she reminded me of those Duracell batteries. We started off well, she advised me to concentrate on my breathing and to run at my own pace. I lasted 4 minutes! I ran a few metres and I (literally) threw myself on the floor! Kim wasn't having any of it! She knew me too well and believed in me more than I did myself. So she dragged me across the floor which made me scream 'help!' People started cheering for me to carry on running. The run felt like the longest physical nightmare of my life but in a weird way, I wanted to come back. My body, of course, ached but in a good way, I felt energised and quite happy that I was changing my unhealthy lifestyle. When we started Super Steep Sundays running London, I wanted to just hide but the support I got from Laura made me want to improve - just to show her that I appreciated all of the advice and slow runs she had to endure because I kept on stopping. "NO ONE GETS LEFT BEHIND" is her motto and a great one at it. Her support, and because she scares me with her very serious "Don't stop! Jog your walk!" advice, I haven't stopped mid-run again. Even the best excuses for these girls are merely excuses: if you tell them you feel like you're going to be sick, they tell you "Good, be sick!". They truly are such great people to be around! I'm not the healthiest girl but it's OK, because I'm enjoying my life and I'm improving it all at the same time. It's been a long but good road to wanting to run as running and I didn't click at first. For 2 months I was literally made to come out and run. When I started running with my Food & Lycra sisters I didn't actually think I would look forward to a Sunday ever again but I was WRONG! I love it (so much so that I even go Track on some Sundays!) and I love these girls who not only genuinely like to help others but they change lives. Bring on Saturday's We Own The Night 10K, I can't wait to run my first race with the girls! Maybe the first of many?